As minimalist as possible. That’s how I approach making a record. When miking up drums, this is paramount. 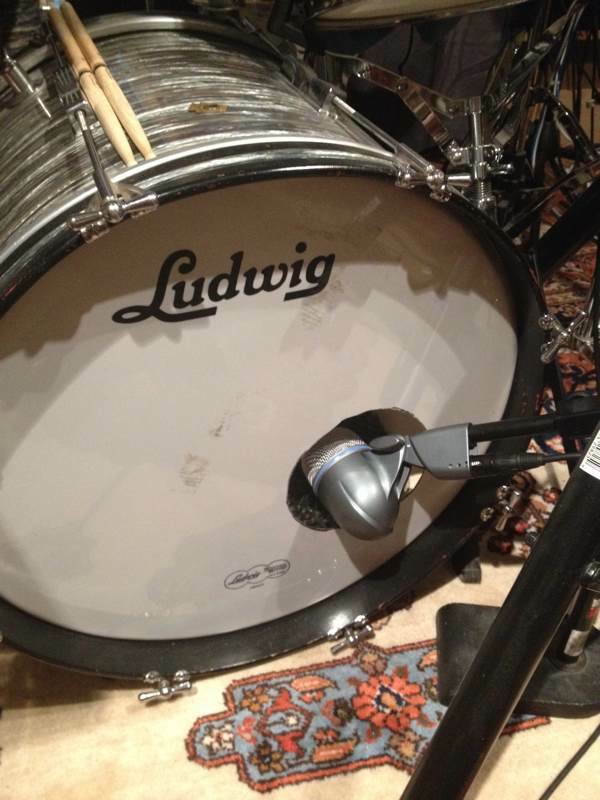 The options to weigh when recording drums can be overwhelming. Hey, look! It’s Glynn Johns to rescue with his simple yet monumental method for recording drums. Glynn Johns is a producer and recording engineer behind many of the Led Zepplin records, and part of the equation attributing to John Bonham’s mammoth-sounding drums. John Bonham himself being the other part of the equation. One mic directly over the kit, about 40 inches high, and looking directly down at the snare drum. A second mic at the 3 o’clock position to the floor tom (drummer’s perspective), about 1 or 2 feet above the rim of the tom, looking across the kit to the hi-hat, and 40 inches from the snare drum. These two microphones will serve as the “overhead” mics. The objective is to get a good overall balance of the whole kit, as they will function as the main drum sound. The third mic will be positioned as a close mic on the kick drum. The purpose of this mic is to fill in the kick drum so that it is more apparent and punchy in the drum mix. Otherwise, it would get lost underneath everything else in the final mix, making the drums lose a bit of punch. This is a very minimal drum miking technique that yields surprisingly huge sounding results. This approach is also quite versatile. The most important part of this method to recording drums is the two main overhead mics. Since these two microphones will be making up the primary sound of the drum recording, it’s critical that you put most your attention on them. The key to the overhead mics is that they are both equal distant from the snare drum to ensure proper phase, an issue of small timing differences in sound when it reaches individual microphones, causing a degraded sound quality (the drums will sound thin). The exact positions specified above are meant to give you a good starting place. Many people have found, depending on specific circumstances, that fine tuning these positions help more closely achieve the sound they want. For example, some people find positioning the first overhead mic a bit more over the rack toms is more to their taste. Another variation is adding a 4th mic as a close mic on the snare to give it a bit more presence in the drum mix, just like with the bass drum. 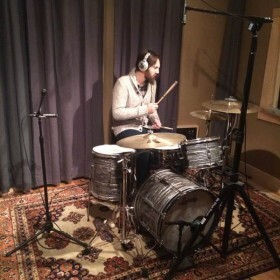 Finally, the last two major factors that play a part in this approach to recording drums are 1) the quality of the drummer-since there are limited spot mics used, the drummer needs to be aware of his or her playing to ensure the kit is well balanced throughout the performance. 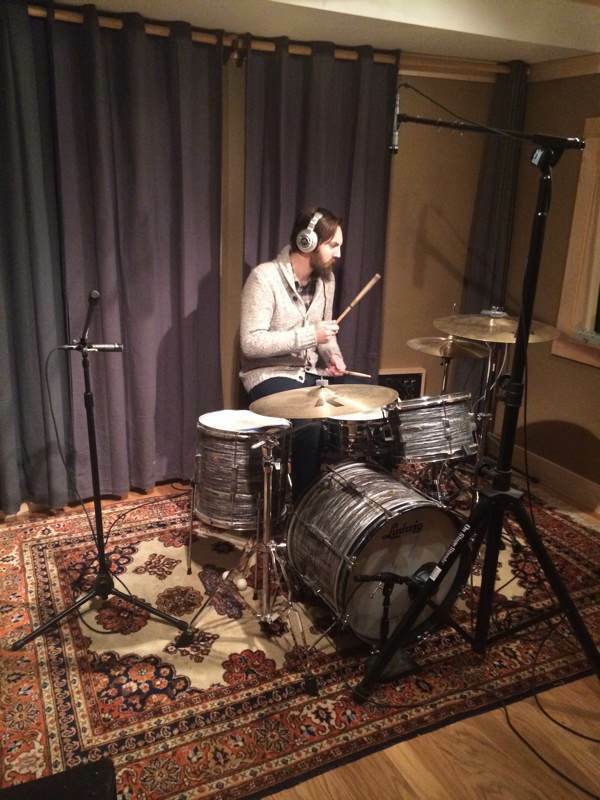 2) The space you are using to record the drums plays a significant role in how big the sound is. 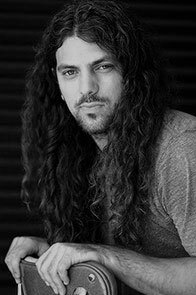 I’ll wrap this post up with a thought on microphone selection-don’t get distracted by this. Yes, Glynn Johns had some very nice tube microphones at his disposal when working with Led Zepplin. But those types of mics are very expensive, which makes them an impractical choice for most of us. Use what you have available to make the best recording you possibly can. You want to concentrate your energy on making music. Move towards this creative work as quickly as possible, and don’t let yourself get bogged down with tedious technical details.